It’s not often that a creation makes me laugh out loud, but this steampunk vessel by, Rod Gillies, did just that. 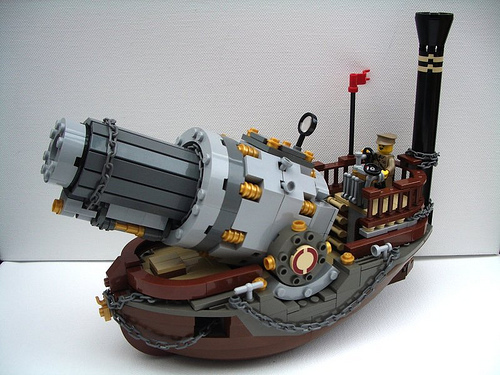 I love that oversized gun, reminds me of the cannons that Lego is always putting in their rowboats. Hey Josh, thanks for the feature, much appreciated. Kind of taken aback by the response this one seems to have got, but delighted so many people seem to like it. I’ve had this idea kicking about in my head for ages, but it never came out quite right. Cracked it this weekend though.